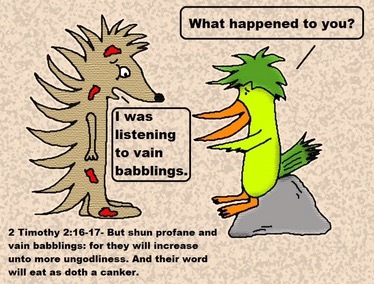 Do you chatter or Do You Speak? Have you ever met someone who just rambles on and on, and it’s hard to even get a word in edgewise? I’m not talking about when you run into your “long lost friend,” and you’re both talking so fast, excited to share what’s happened over the years. I’m not referring to those times when your spouse and you are trying to iron out some differences, and I’m not even implying those moments when your teenager is allowing the deepest soul beats to overflow for your ears to hear. I’m talking about the person to whom you go when you need the “latest and greatest news.” Come on, you know the one. Even when you shouldn’t listen, and even when you pretend you don’t, she has the most recent, “juiciest” word on the street, just dying to let you receive it! The string of gossip is so delicious, so “hot off the press,” she carries it to you like it’s a hot potato, and she can’t wait to release it from her flapping lips. If you’re a living, breathing soul, and you’re an honest one at that, we can all attest we’ve been there. We’ve been caught in that moment between wanting to hear the herald and knowing we shouldn’t give it credence. So, we are faced with a dilemma. Do we receive it, even if it is only to appear gracious and kind, not wanting to hurt her feelings? 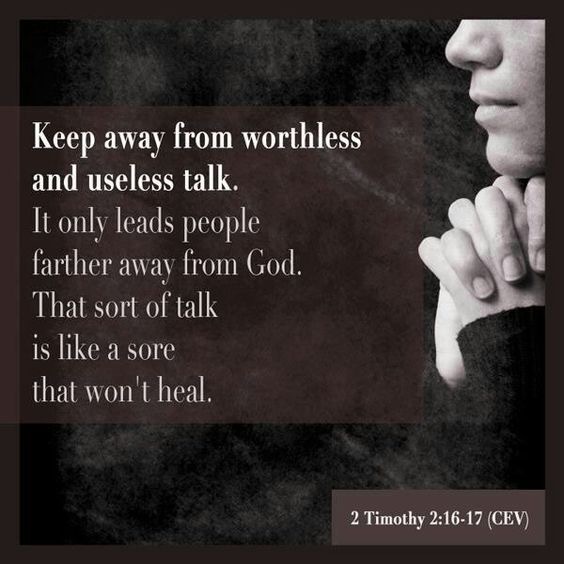 Do we say, “We really shouldn’t be talking about this,” yet, continue to allow her jaws to chatter, or do we kindly (or rudely, if needed) tell her we will not lend our ears to this gossip, no matter how close to the truth it might be? What do we do? What should we do? If we are God-fearing, God-pleasing and desire to be seen as such, then we should choose the latter, no matter how hard it may be to speak, and no matter what “friendship” it may cost us. When you become a person known not only by the words you speak, but also, by the company you keep, you carry with you a reputation which speaks when you don’t have to. You become known as a person of integrity, trustworthiness and higher standards. When you close off gossip, not only from your own mouth, but also from those mouths that surround you, you close off needless chatter. People are drawn to those who are of a reputable stature. They will be intrigued by your silence rather than offended by your babble or the gibberish that surrounds you. People of integrity and trust will begin to want to hear what you have to say when you choose to speak. So, choose your words and your “atmosphere of words” wisely; then, you will become known as a person who speaks and doesn’t just chatter.